Tricia is a partner in our employment & pensions division. 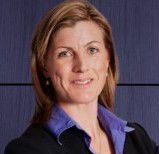 Tricia is very highly respected and is well equipped to advise on all aspects of employment law. Her particular areas of special interest include maternity rights, absence/performance management, disability discrimination, whistleblowing claims, flexible working rights, Working Time Regulations and holiday claims. Tricia is the principal contact for advising a number of large oil & gas industry players in Aberdeen. She regularly advises on workplace disputes; however her varied caseload also includes Employment Tribunal appearance work, providing bespoke training to clients, drafting and reviewing contractual documentation, advising and assisting in handling dismissals/redundancies, etc. Recognized by Chambers UK, Tricia is known for her approachable manner and her desire to identify practical and proactive solutions. Her pragmatic and no-nonsense approach delivers results.